Things are looking up for homeowners who want to customize their curb appeal. Thanks to vibrant new colors now available in asphalt roofing, there are more choices than ever to boost a home’s image. And that’s good news since design experts say that 40 percent of a home’s exterior is the roof. In recent years, asphalt has become the preferred roofing material over the more traditional wood or slate. Much of this is due to its higher fire resistance, durability and new shingle styles with authentic, classic appeal. Asphalt shingles can replicate the look of wood shakes, and some, such as Centennial Slate™ by CertainTeed, even simulate the natural beauty and color variations of blended slate at a fraction of the cost. The new color palettes go a long way to enhance designer or architectural roofing and complement the bolder curb appeal that is becoming so popular. The array of roofing on the market allows homeowners to coordinate roofing with siding, accessories such as shutters and trim, and even fencing for appealing and distinctive looks. Such advancements in building materials provide homeowners the same freedom to customize a home exterior and reflect individual preferences through interior design. In other words, don’t get stuck in the brown and beige rut. Go for the bold new generation of asphalt roof styles and make your neighbors green with envy. It’s a fact that your roof is one of the most important parts of your house and is the one thing that provides the building structure, the building occupants and the building contents with protection from the elements. 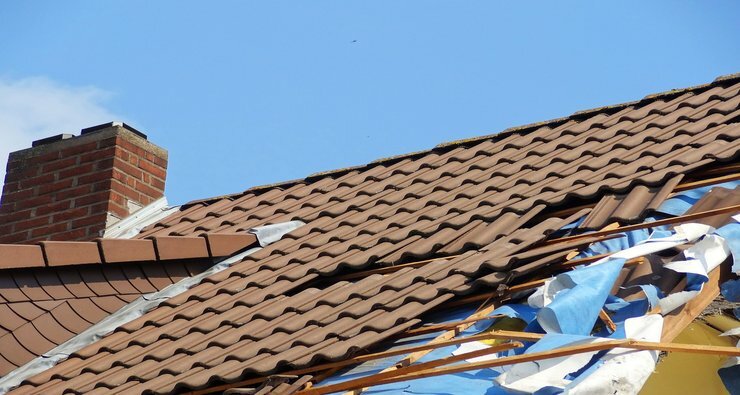 Many roofs are in a state of disrepair but homeowners ignore this until the roof gets worse or until the weather gets worse. With regular maintenance and the early identification and fixing of any problems, you can usually avoid the big problems that have equally big price tags attached to them. Regular maintenance in this way will also help extend the life of your roof. Flat roofs have extra difficulties associated with them. Because they do not slope rainwater does not automatically run down the roof and drain off. 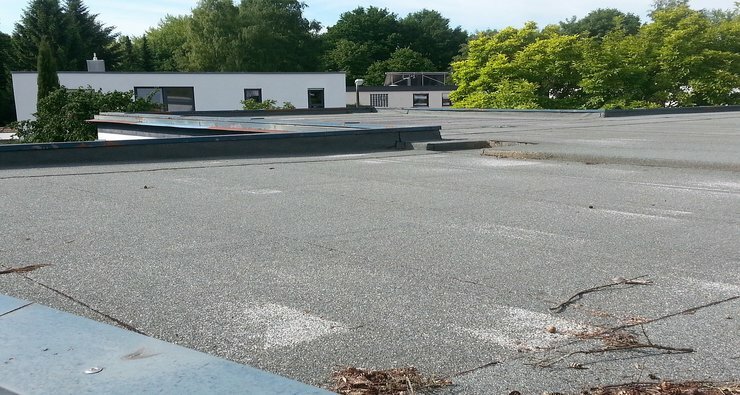 It is absolutely vital that flat roofing materials are as water resistant and watertight as possible to prevent serious damage to the roof itself and to the rest of the building and it contents. New types of flat roofing material are being used and while these offer more in the way of protection they are also more expensive as a general rule. There are still three main types of flat roofing materials that are used on a regular basis on new and older houses. Built up roofing is basically just that. Built up roofing consists of laying down several layers of tar and water resistant materials and then covered with gravel. This is quite an old technique but the introduction of new waterproof materials has seen the strength and durability of this technique increase. The gravel acts as a good fire resistant layer and can be made to look very attractive. It is usually the cheapest of the flat roofing materials available, however, it is very heavy and may require strengthening of the joists. It is also impractical to use on residential houses that are being lived in because it smells terrible. The gravel itself can clog gutters and other vital aspects of water drainage. Modified bitumen is another stalwart in the world of flat roofing materials. Once upon a time, it was necessary to use torchdown techniques that involved burning the roll of material onto the roof, however, it is now possible to get adhesive varieties, thus cutting out the potential fire hazard that is sometimes associated. The mineral surface that is used to create modified bitumen can be created in light colors, effectively reflecting the heat and sun. This will cut down on your energy bills during the summer months, and it can even be installed by any avid (and competent) do it yourself fanatic. Rubber membrane is another method of coating your flat roof. As far as flat roofing materials go it is durable and resistant to general wear and tear. Leaks are easy to find and repair, but the cost is really quite high. The standard black rubber does not reflect heat and paying for a lighter membrane will cost you more, however, it is quick to fit and will cause little disruption to your house life during the process. Slate roofing tile is a wonderful look for any home. Slate is natural stone, and it is one of the best roofing tile mediums available. The look of Slate roofing tile is exceptional and some of the most famous houses in America are adorned with Slate roofing tile. Many historical homes have Slate roofing tiles, and this makes it even more alluring to homeowners. For those who are investing in an old home, and want to remodel but keep its original look, slate roofing tiles are a must. Slate roofing tiles will give any home a look of elegance and a touch of class. 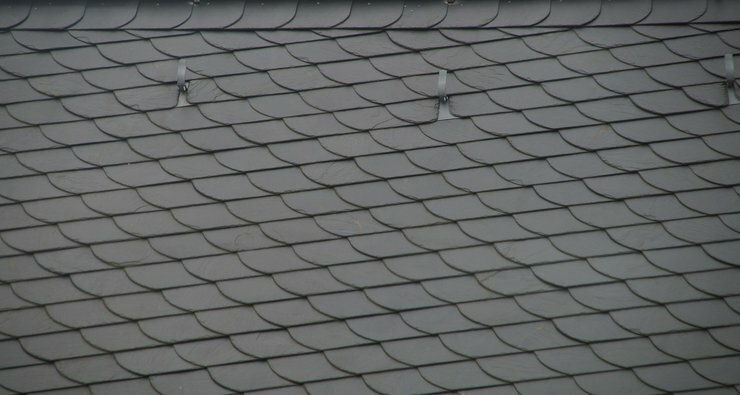 Slate roofing tiles come in a variety of colors, sizes, shapes, and details. Choosing to add Slate roofing tiles to your roof should be a matter of serious thought and decision. You will want to browse the various styles and choose the color and texture slate that feels best for you. You should do your homework before deciding upon Slate roofing tile. If you aren’t that experienced with roofing materials, you should find a contractor who has great references and is a licensed contractor. By working with a professional, you can have all of your questions answered ahead of time, and feel more competent that you are making the best tiling decision for your roof. Don’t hesitate to look up the information yourself either. Feel free to browse the Internet or resources at your local library to help you decide which Slate roofing tile options are best for you. If you know someone who has had their roof redone, then ask them for recommendations. 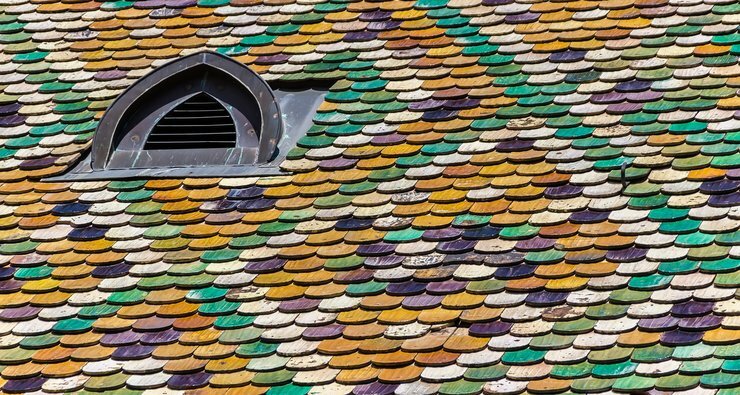 The colors of Slate roofing tiles vary and they can be spectacular. The effect and enhancement that Slate roofing tiles will add to your house will not only make it more beautiful, but it will increase your home value as well. 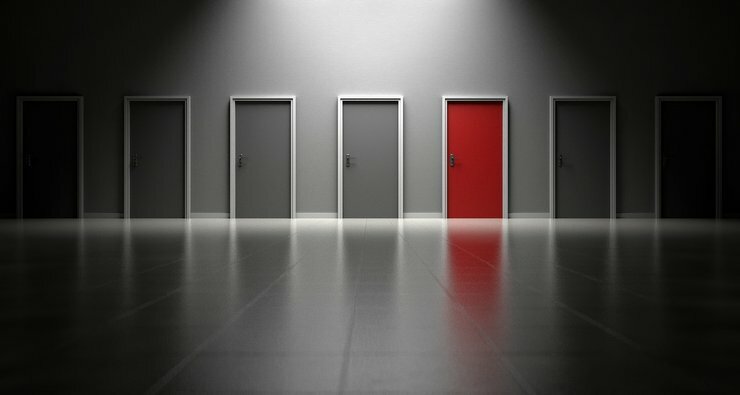 You should look for contractors who will offer you a free estimate before you make a final decision. Make sure that you verify with the contractor that the estimate will be free. The life expectancy of your roof depends on several factors; type of roofing, quality of material, and exposure to harsh weather elements among the top. With regular maintenance and normal weathering factors, a roof can last anywhere from 10 – 100 years. A certified roofing contractor can be called to avoid further damage to the roof or personal injury to the homeowner caused by trying to inspect it his or her self. A roof inspection should be performed annually; constant weathering by sun, heat, rain, snow, hail, wind, and cold can cause roofing material to break down. A certified roofing contractor will know what to look for. 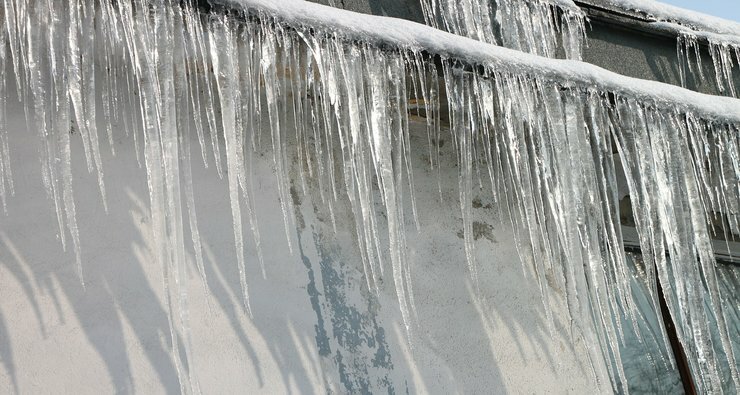 A roof and soffit system should be properly vented to prevent over-heating and moisture retention, two factors that can cause a roof to break down prematurely. Ask potential roofing contractors questions such as whether or not they are licensed and bonded. What liability insurance coverage they carry, and whether it is up to date. Ask which roofing product manufacturers they are licensed and approved by, for installation of products and warranty purposes. Also, ask if they are a member of any regional or national trade organizations. Several resources are available to find a certified roofing contractor; referrals, local government licensing agencies, and websites that offer contractors for hire, or a list of contractors who are licensed and bonded.